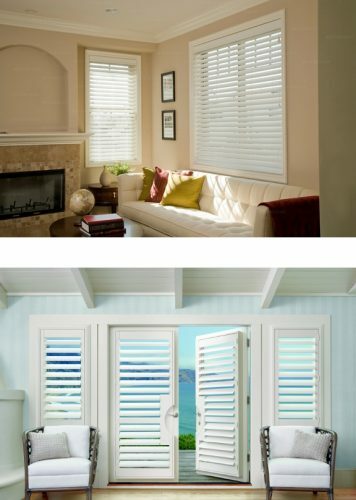 Shore Blinds and Shutters in Myrtle Beach, Partners with Top Brand Name Manufacturers for Window Coverings, Including Norman, Hunter Douglas, Graber and Skandia. Window Treatments make a home look beautiful. At Shore Blinds and Shutters in Myrtle Beach, we work with our clients and recommend and present samples of brand name products from the most trusted and notable manufacturers in the window coverings business. If you are looking for Norman Shutters, Hunter Douglas Blinds and Shades, Graber Shades, Blinds and Shutters, and Skandia, contact Shore Blinds and Shutters serving the Grand Strand. Norman has more than 40 years of excellence in window furnishings, You can see it in every detail. You may not realize it, but Norman farms their own wood, makes their own components, and weaves their own cords. Year after year, Norman®, exceeds the highest industry standards in quality, service, selection and value, and it uses socially responsible processes in manufacturing and forestry. Hunter Douglas Shutters, Blinds and Shades are known internationally in the window treatment business. Their products are customized and engineered to fit all shapes and size windows. Hunter Douglas window coverings will transform an ordinary window, into beautiful decorative windows allowing light and color to create beautiful living spaces in your home. Plantation Shutters, blinds or shades, Sheers & Shadings, Cellular/Honeycomb Shades, Roman Shades, Roller & Solar Shades, Woven Woods, Shutters, Vertical Blinds, Wood & Metal Blinds or Pleated Shades. In 1939, John N. Graber installed a set of Venetian blinds in his home and standing back to assess his handiwork, he realized that his drapes looked unbalanced hanging over the new blinds. This led him to invent a special metal bracket that he christened the Badger Crane, and the rest was history. As part of the Springs Window Fashions family of companies, GRABER is now known for its wide array of window coverings products, to include: shades, blinds and shutters. Skandia is a major national manufacturer of custom window coverings with all three of manufacturing facilities located in the United States. Recognized as an industry leader, Skandia offers an unbeatable combination of style and value in a broad selection of window covering products. Handcrafted quality and durability and an imaginative selection of custom-made window treatments.